Fun to wear dresses with round yoke and back buttoned swing style skirt. 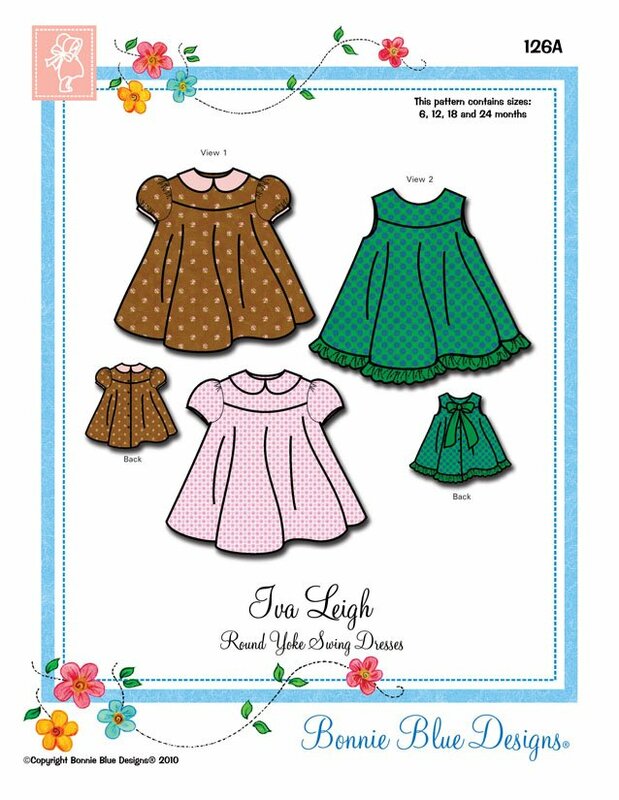 View 1 has Peter Pan collar and bias bound puff sleeves or short cap sleeves. View 2 has lowered neckline and ruffled skirt with perky bow on the back. "Piping How To’s" and "How to Make Piping" instructions included!